Oh my, my. Time is getting away from me! I usually try to get stuff posted in the morning, but I've been sleeping in later since my son is out of school, and I'm finding my time is getting more and more limited! So today's post is a little later than I intended it to be! ...but I think you guys are going to like it! 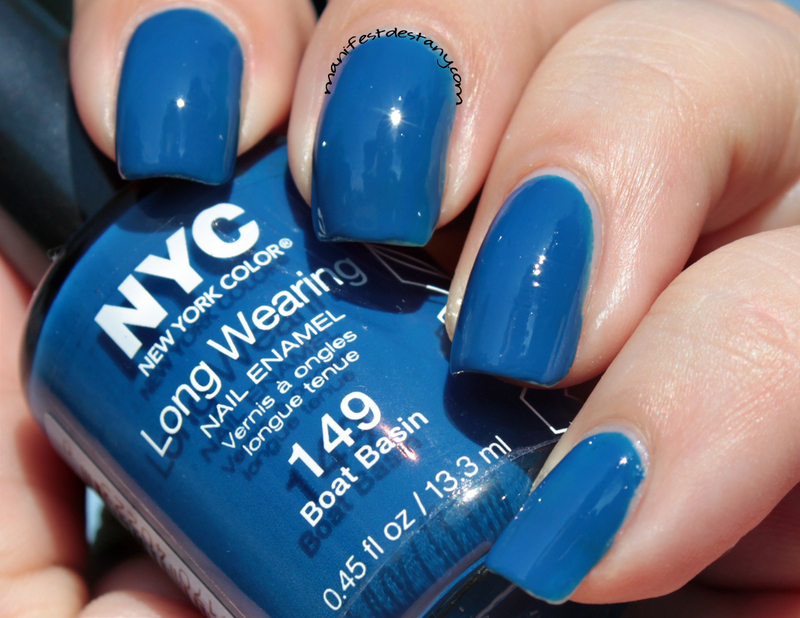 This lovely blue from NYC is called Boat Basin. And I'm in love with it. It is quite literally the best blue I own. The perfect shade, the perfect formula. Pictured is two perfect coats. And these photos were taken on day 3 of wear. And it was only 69 cents at Rite Aid. I caught it on sale, apparently, and I'm so glad I snatched it up! 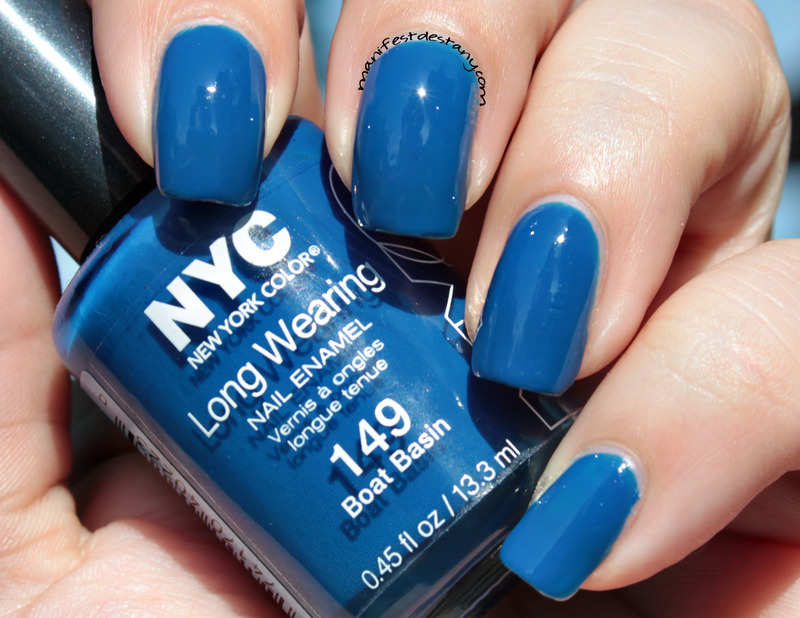 I wore this polish for several days, adding a glitter topper, and even a matte top coat to prolong the wear. I lost track of how many days I wore this polish after the fourth day. Do you own this color? 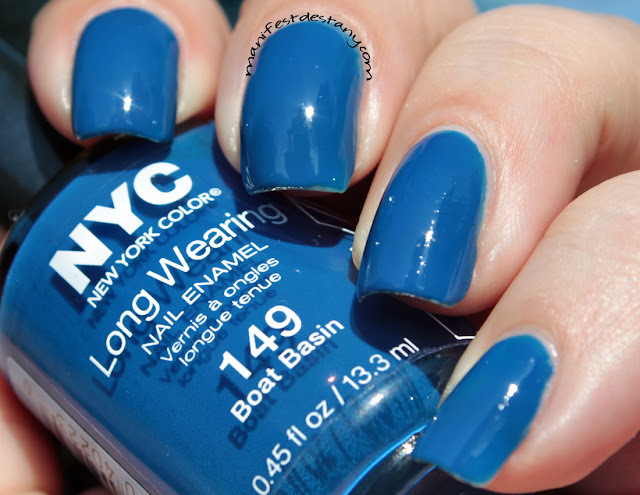 Or any NYC color? Based on the formula and wear time of this one, I'm thinking I need to get me some more!